Want to know the fastest way to make sure you never write your world-changing, business-growing book? Or how to near-guarantee that you'll subconsciously self-sabotage its launch? ... Who am I to write that book? ... What if they find me out? Long after you've dealt with mindset and attitude and confidence and positive thinking and self-belief, it's still lurking there... and there's nothing quite like putting your Big Message down in writing to drag it out to play. ... despite it being loved by the beta-readers & my editor, and it being the culmination of a full year of writing. "Who am I to write a book about how to change the world with your business?" Telling yourself "I'm not ready yet"
Yes, sometimes it's not the right time. But usually it's 'just' the fear of being found out as a fraud. It's a master of disguise. I discovered Imposter Syndrome with my very first mentoring client, back in 2002. Except we didn't call it 'Imposter Syndrome' back then. And the more you're stretching your comfort zone, the more likely 'a little bit of self-doubt' is to morph into a full-blown, self-sabotaging attack of Imposter Syndrome. Over the past 15+ years I've found that the act of publishing a book on your Big Message is the best way to get someone stuck, dreaming big but playing small. It gets to the stage where 'pushing on through' doesn't work any more. And I want more than that for you - I want you to love every moment of your writing journey. Yes, I deleted that manuscript. Why? Because I had been so busy working on my book that I had pushed down the fears that were secretly waking me up at 3am - the ones I didn't feel I could tell anyone about. And they needed clearing out, before the book could be published. I left it until the 11th hour. My family says I wasn't very nice to be around that night. I was walking proof that 'taking action to avoid the fear' and 'fake it till you make it' are unreliable success strategies. Once I realised it was 'just' imposter syndrome at play, I did my stuff, cleared the block and found a hidden copy of the manuscript on my back-up-back-up drive the next day. The rest, as they say, is history. 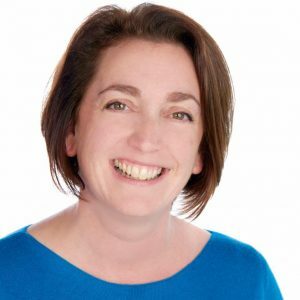 Whether you're writing a blog post or crafting your best-seller, I'd love to help you to feel confident, excited and inspired by your journey, rather than secretly terrified. And it's much easier than you might think, when you know how. And that's exactly what I'd love to share with you. Learn how to spot the early warning signs of Imposter Syndrome, before it starts yelling at you. Plus you'll get my near-instant ABC process for pressing 'pause' on negative self-talk. Learn the 'magic question' from the mentoring process I would use if we were working together, one-to-one, on Imposter Syndrome, self-doubt and building your confidence as an author. Practical inspiration to set you free from your fear of rejection - and even haters and trolls. We can't get rid of them, but we can choose whether or not to give them our power. Why positive affirmations can be the slowest route to retraining your brain and even make things worse. Plus you'll use your answers from previous days to create affirmations that work for you, at lightening speed. The techniques in this final step tie everything together. You'll finish with an action plan to ditch Imposter Syndrome as an author, and you will already have made great progress towards your goals. You'll also get a five-minute technique I love to use if Imposter Syndrome strikes when I least have time to handle it (like being interviewed live, on air, in front of a million people), when there's no time for navel-gazing. I know you're busy! And you want to get results in minutes, not months. So everything I teach in the Imposter Syndrome For Authors course is broken down into bite-sized steps that you can work through in less time than it takes to drink a cup of coffee. Expect to spend half an hour on each of the five core techniques, to gain the insights you need. Then all you need to do is practise them. I want to make Imposter Syndrome For Authors as accessible as possible, whilst still giving you the quality of course and support you deserve. So this five-step programme is just £197. Doing this one-to-one with me would be a significant 4-figure investment. But I want to help as many authors as possible to ditch Imposter Syndrome - once and for all. When you think about the difference it could make for you, your Big Message, your audience and your business, I hope you'll agree that's excellent value. I want to make sure you're happy with this course. So try it on for size for 30 days and if it hasn't helped you, I'll give you a full refund - with no hard feelings. BUT it's not a 'brown banana' guarantee - I will ask that you have actually tried the techniques out. After all, you wouldn't take a banana back to the supermarket because you forgot to eat it and it went brown! Not For You Right Now? That's Cool. Want To Know When My Next Free Author Masterclass Is Running?